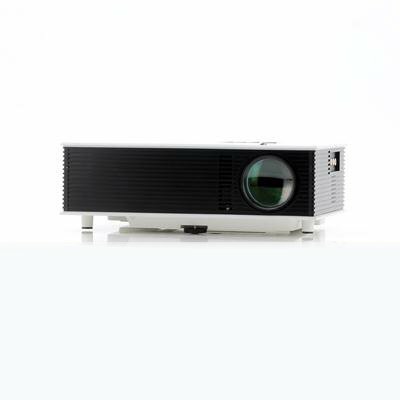 Successfully Added LED Video Projector "MaxiView" - 1500 Lumens, 700:1 Contrast, HDMI and AV Port, 2x USB Ports to your Shopping Cart. LED Video Projector with 1500 Lumens, 700:1 Contrast, HDMI and AV Port, 2x USB Ports and more. Turn your living room into the ultimate home cinema. The “MaxiView” is a budget video projector which will bring the ultimate movie viewing experience to your home. Projecting images up to a 120 inch wide, the “MaxiView” will let you enjoy movies like never before. Simply hook up your PC, DVD Player, Blueray player or even gaming console and get sucked right into the middle of the action. The “MaxiView” can even completely replace your TV as it comes with a TV in port and will allow you to watch TV directly through the projector. 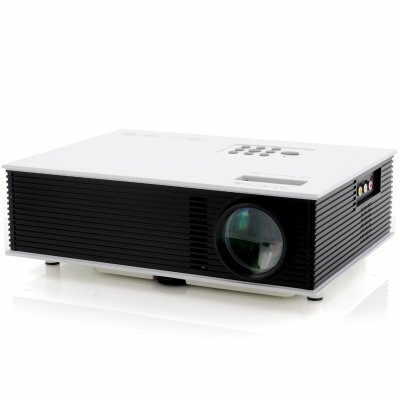 1500 Lumens bright, this video projector uses LED technology to render the images and this in a 800x600 resolution. Furthermore, 2 USB ports allow you to connect your external hard drive or USB stick from which popular movie formats can be played back such as MP4, AVI, WMA, MP3 and more. This will let you project your movies directly onto your living room wall. Bigger, better, sharper, a true cinema experience awaits and all of this, at an incredibly low wholesale price. Now in stock, the “MaxiView” can be shipped out within one working day and comes with a 12 months warranty. Brought to you by the leader in wholesale Video Projectors, Chinavasion. Good product. Mostly using the HDMI ports and USB. Nice machine. Liked the delivery though took about 7 days. was pleasantly surprised by the speed of delivery for 9 days! this is the first premise by EMS. Preview pleased! you can watch movies in the public domain is very good! dioganal turned 210 cm glad and happy!